We have four contests for which to determine the winners today. Out of 537 entries, the two winners of the DisneyNature: EARTH DVD contest are . . .
Out of 431 entries, the winner of the How To Lose A Guy in 10 Days DVD Contest is . . .
Out of 262 entries, the winner of the Pond's Wet Cleansing Towelettes contest is . . .
Out of 129 entries, the winner of the Stop & Shop GC contest is . . .
Pillsbury Sweet Rolls are my favorite participating General Mills product. Thanks for the giveaway! 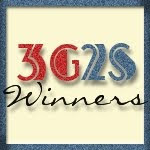 Thank you to everyone who took the time to enter these contests. The winners will receive an official email notification shortly. The prizes must be claimed within 48 hours.